‘Hyper’ is more or less a feeling of excitement. It connotes so much energy and excitement and this is exactly what Hyper Casino promises to offer every player that dock on its shores. Hyper Casino is one of the latest brand new online casinos that is coming from L& L Europe. These operators have five major highlights that include providing a very friendly user interface; high-quality games; excellent customer service; easy deposits and very fast withdrawals. This means that all the casinos under their care inherit this core services to provide a platform that is meant to give you a hyper-gaming experience. Likewise, Hyper Casino promises to offer nothing but the best. The platform begins its entry with a massive selection of over 700 games. They feature a selection of games from top providers. As well, Hyper Casino has a lot of cool features that you’ll surely love. Hyper Casino has a cool design. There is the presence of a dark theme with the hyper sign providing light against the darkness. Hyper Casino displays a lot of information on the homepage. The first thing that you would notice is the purple banner that shows the welcome bonus. Of course, everyone loves to see the welcome package. Afterwards, the next set of displays is all about the selection of games. Indeed, the range of games at Hyper Casino is quite huge. They display the various catalogues to offer players a quick overview of what they have in stock all in one single scroll. Finally, as you approach the end of the lobby, Hyper Casino provides a lot of information that would surely guide you. In the end, there is minimal use of graphics which is expected s Hyper casino is fully mobile friendly. Popular games: The list of games in this selection is put together by the players. So, after enjoying the games from other categories, you get to add any game of your choice to the popular games section. So far, some of the games that make the list include Immersive Roulette; Hong Kong Tower; White Rabbit; Vikings; Starburst; Gonzo’s Quest; Green machine Deluxe; Temple Quest; Lightening Roulette; Book of Gods etc. Video Poker: Hyper Casino puts together a number of games in this selection. Examples include Joker Poker; Tens or Better; Double Joker; Deuces Wild; Deuces and Joker; Aces and Faces etc. Live Casino: Enjoy the hyper-immersive gaming experience when you play from the selection of live casino games at Hyper Casino. examples include Immersive Roulette; Dream Catcher; Svensk Roulette; baccarat Squeeze; Blackjack A; Fun Blackjack; Norsk Roulette; Triple card Poker etc. Video Slots: For many, this is the powerhouse of any online casino. Well, there are more than 500 selections of video slot machines at Hyper Casino. Just take a look around and you will surely find it. Some examples include Book of Gods; Jack Hammer 2; Steam Tower; Avalon; Starburst; Neon Staxx etc. The quality of the welcome bonus is quite absurd. Well, it is not just about the offer, the wagering requirement is quite ridiculous. Players are expected to play through their deposit and bonus amount a minimum of 45 times. Now, the welcome bonus is a two-tier package that offers every new player a total cash bonus amount up to £300. The first deposit bonus offers a 100% booster up to £100. Hence, when you deposit £50, you will have €100 instead to play. Likewise, when you make your second deposit, you stand another chance to receive a 50% second deposit boost up to £200. This means that when you make the same deposit of £50, you will receive £75 in your account to play your favourite games. Meanwhile, with such substantial wagering terms, the offer is just not worth the stress. We didn’t get any no deposit bonus from hyper this time! As for promotions, Hyper Casino needs to step up their game. There is currently only one active promotion at present. Hence, each week, Hyper Casino selects a slot machine and offers players some extra spins to play the slot machine chosen for the week. At present, the selected slot for the week is the Book of Aztech. 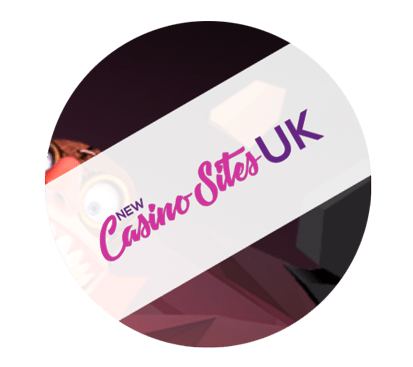 During the promo period, players from the eligible countries who make a minimum deposit of £50 will receive 50 extra spins that are activated when the selected slot for the week is launched. Unfortunately, there is currently no VIP club at Hyper Casino. Possible we will see a free spins bonus as well in the future from Hyper. Finally, Hyper Casino is a super new entrant that provides a unique energy-filled atmosphere for gambling. Whether on your mobile device or PC, the experience is filled with energy. There is also a team of support that is always there to provide you with excellent support anytime.